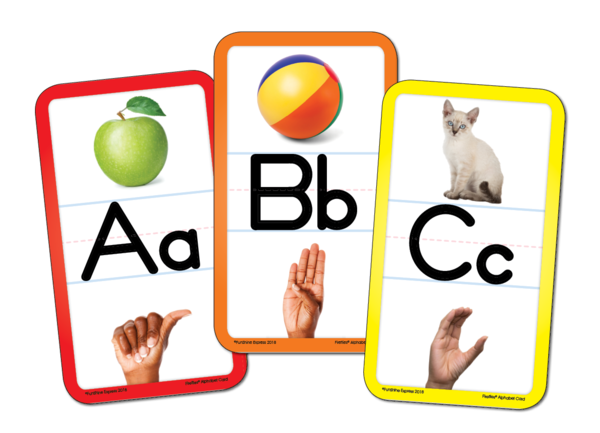 Alphabet Display cards to introduce letters. Includes sign language with multicultural photos. 26 punch-out cards, 8x 5.